Home » Decor & Design » Outdoor Living » Add Curb Appeal with These Ideas! 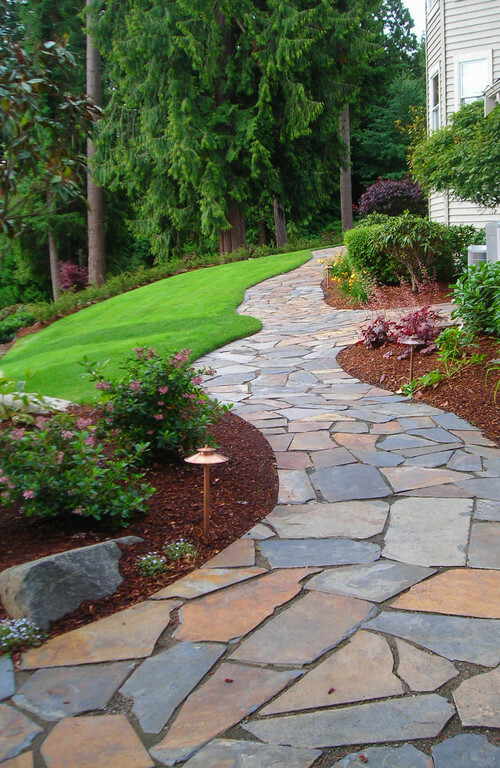 Add Curb Appeal with These Ideas! The exterior and front landscape of a home are the first impression that a house makes to anyone that happens to visit, or just drive by. So, it is aways a good idea to take an objective look at the exterior and try to see what statement your home is making to others. Are there areas that can be improved within your budget? Is everything clean and tidy? Does your home look inviting, or is it the home that kids believe houses the local witch? 😉 If so, then you probably need to add curb appeal to correct these issues. The following suggestions may provide some areas for which improvements can be made. 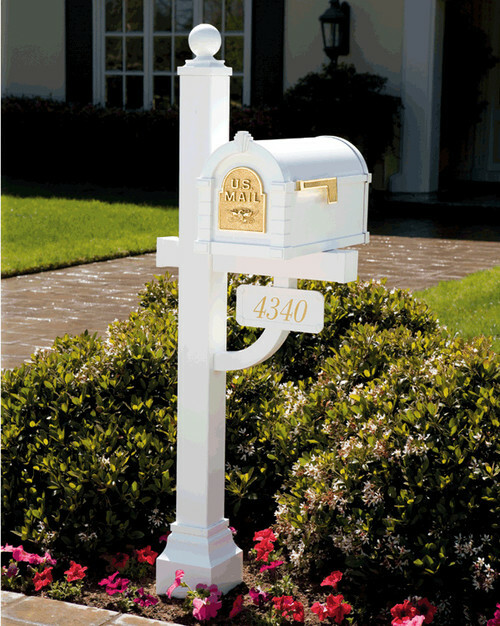 Since the mailbox is one of the closest objects to the road, it is one of the most noticeable elements to passersby. A faded or worn mailbox can create the impression that the house is old and dated. Most people over look the mailbox because, we tend to not see the mailbox as part of the landscape. However, a fresh, new, mailbox goes a long way towards letting others know that your home is well maintained. So, take a look at your mailbox. Add a fresh coat of paint, if needed, or just update the numbers. Keeping beds looking neat and fresh is also a good idea. 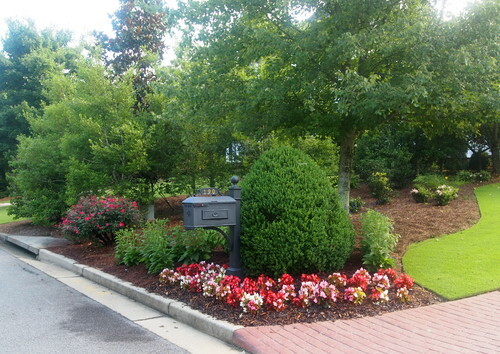 Fresh mulch and a few annual flowers can revive and brighten a landscape. Adding a border to a bed can really help to neaten the look. It maintains a good separation between the grass and the bed. It also makes it easier to edge the lawn between mowings. All of which will cut back on the sod finding its way into the plant area. Check out the front lighting. Do the fixtures all match? Do they look nice and new or old and tired? Make sure that all the bulbs are the same style, and replace any that are burnt out. 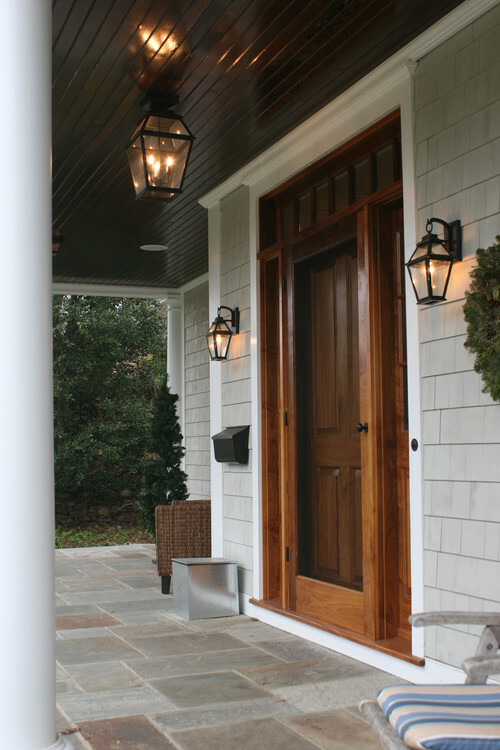 If the fixtures do not match or look dated or worn, consider replacing them with nice new ones. What condition are the shutters and window trims in? 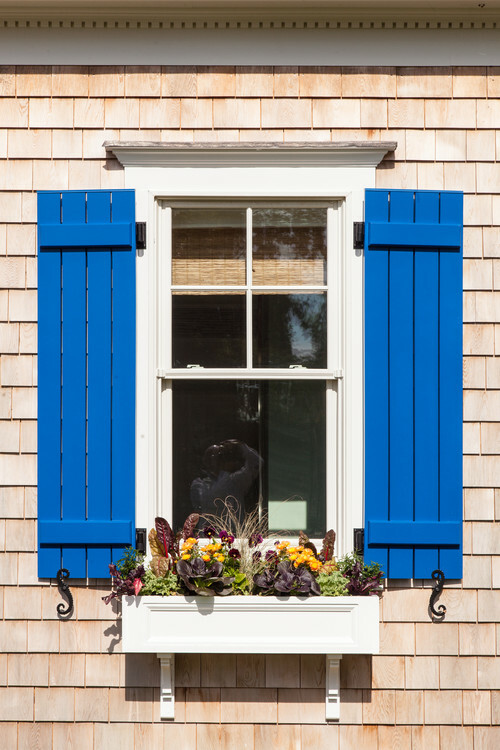 A fresh coat of paint (or stain for some shutters) will really improve the overall look of the exterior of the house. Take a close look at your walkways. Does it look clean and fresh? Are there broken or cracked areas that need to be repaired? Are weeds or grass finding their way through spaces where they shouldn’t be? All of these are little things that can have a big impact on your homes impression. Finally, once you have everything looking exactly the way that you want it, take a look at your home after dark. Does it look bright and inviting. If not, you may want to add or update a landscape lighting system. Just a few up-lights or spotlights directed strategically can really make a difference. Now days, you can even get solar lights. So, wiring is not even necessary. 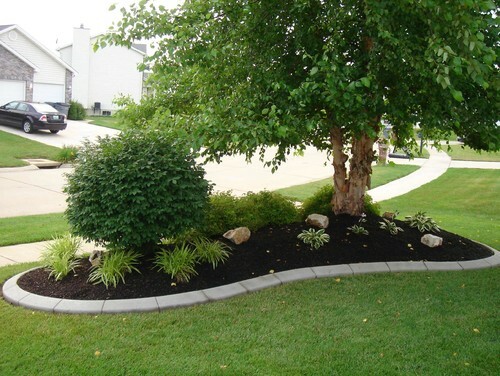 I hope that these suggestions have helped you to get an appealing curb appeal. If you have any other suggestions not mentioned here, please feel free to share them with the other viewers. Winter Landscaping – A Winter Wonderland.